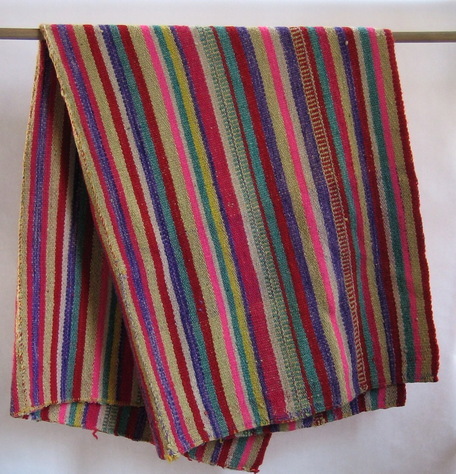 Brilliantly colored blanket or rug hand woven of hand-spun and hand-dyed sheep's wool by the Quechua people around Cuzco in the Andes Mountains of Peru. Acquired in the early 1970s. Highly collectable. Mint condition. Never used or displayed.